This statistic presents data on the psychological impact of women experiencing online abuse or harassment worldwide. 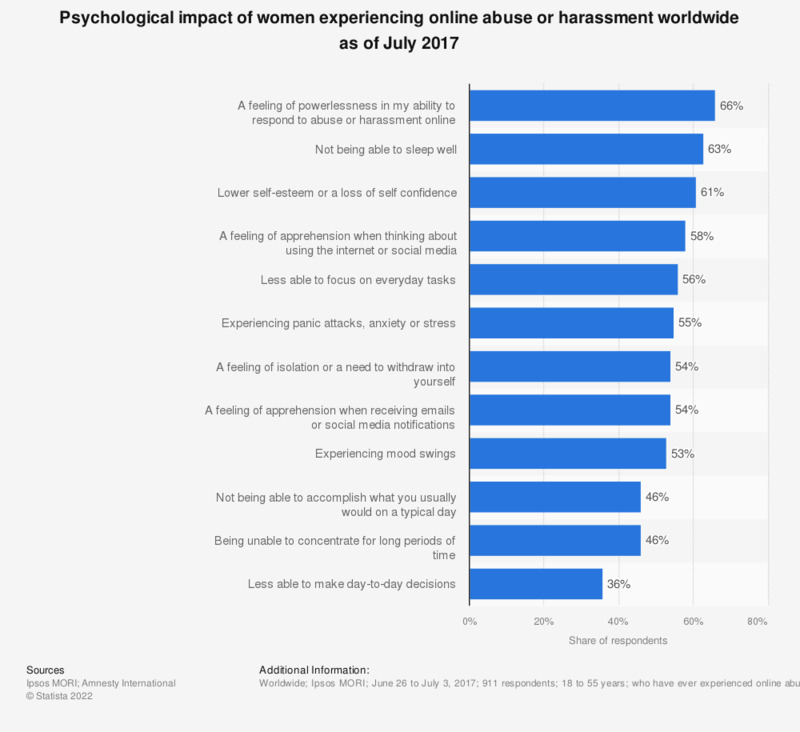 During the July 2017 survey period, 66 percent of survey respondents who have experienced online abuse stated that they felt a feeling of powerlessness in their ability to respond to abuse or harassment online. A total of 63 percent of online harassment victims also reported to not being able to sleep well. QA4b/QA4C. Which, if any of the following have you experienced as a direct result of the online harassment or abuse that you have personally experienced?